Today’s “Card of the Day” features some prominent Thavas support! 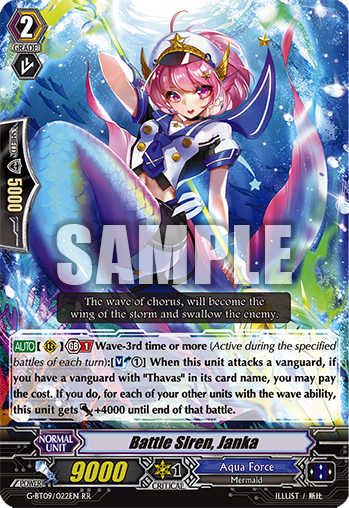 [AUTO](RC)[Generation Break 1] Wave-3rd time or more (Active during the specified battles of each turn):[Soul-Blast 1] When this unit attacks a vanguard, if you have a vanguard with “Thavas” in its card name, you may pay the cost. If you do, for each of your other units with the wave ability, this unit gets [Power] +4000 until end of that battle.